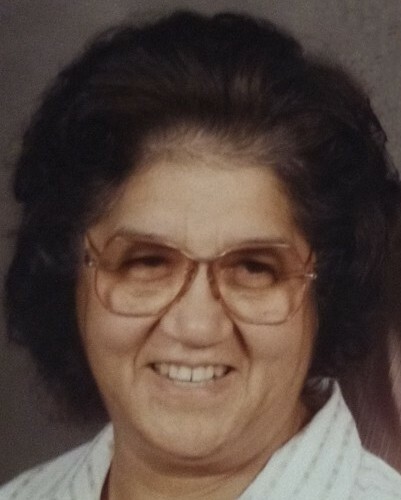 Surrounded by her loving family, Alice Menchaca, entered into rest on March 28, 2019 in Stockton, California. She was born on June 21, 1935 in Delano, California. Alice is preceded in death by her husband, Phillip and her brothers Max Garcia, John Garcia and sister Maggie Garcia. Mrs. Menchaca is survived by her six children: Phillip Menchaca, Pastor James Menchaca, Corrine Menchaca- Lomell, Debra Menchaca, Martin Menchaca and Annette Menchaca and her grandchildren: Phillip, Carrie, Angel, Kehaulani, Martin, Jeremy, Jeanee, Achilles and Eric and her ten great grandchildren. She is also survived by her brother Albert Garcia and many nieces and nephews. Alice is a long time resident of San Joaquin County, residing in Lathrop for 60 years and for the past 23 years in Stockton. She was a member of the Faith Assembly of God church in Stockton. She enjoyed crocheting, gardening and spending time with her children and grandchildren; she loved them dearly. Alice will be remembered for her feisty and loving personality and her caring spirit where she always put others first.